Nerat Empire's front man "Dex Dee" (son of a shoemaker) is surely one artist that has been consistent from day one. 2017 was no doubt a beautiful year for him, as he released hit's like "Mr. Senator", "My Life" and "Highlife" which got him several award nominations. Dex Dee is ready to begin this new year with another hit song that will sure be the biggest songs in the country in no time. 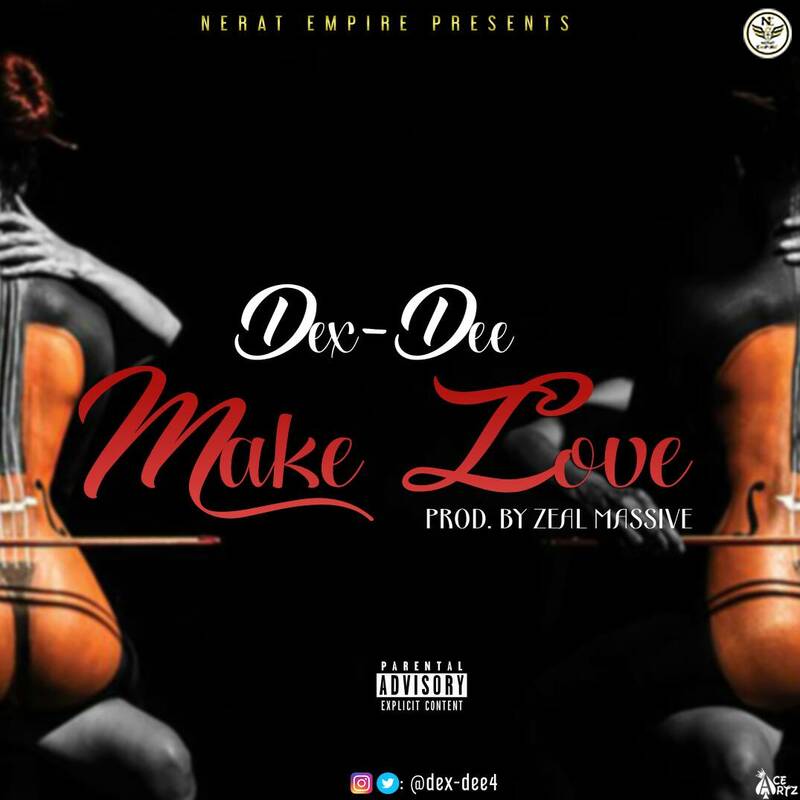 He titles this beautiful and mid-tempo tune "Make Love" and was produced, mixed and mastered by super talented producer "Zeal Massive"
Download and enjoy nothing but good music.